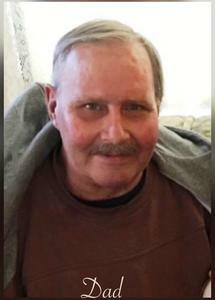 Mr. James Brian Vanderberg, age 67, passed away Friday, December 28, 2018. He was born in Muskegon, MI on June 25, 1951 to Kenneth & Virginia (Ames) Vanderberg. Mr. Vanderberg had been employed as a Commercial Fisherman for Vanderberg Fishery, Bayside Marina and Peterson's Fishery, a lifelong career he was very proud of. James was a prior member of Evanston Avenue Baptist Church. He enjoyed his morning coffee and the news everyday. Jim loved to take his daughter Kimberly and her friends to petting farms, horseback riding stables, fishing, out for pizza, camping, and boating out on the lake. He enjoyed campfires with friends, throwing back some beer with old friends, fishing & preparing fish fry’s for everyone, neighborhood block partys, and making quiet dinners at home with his wife. Daughter: Kimberly Vanderberg, Wife: Wanda Vanderberg, Granddaughter: Lauren Kendall, Siblings: Judy & Jerry Doctor, Sue Mundt, Ken & Barb Vanderberg. He was preceded in death by his parents and brothers: Terry & Philip.